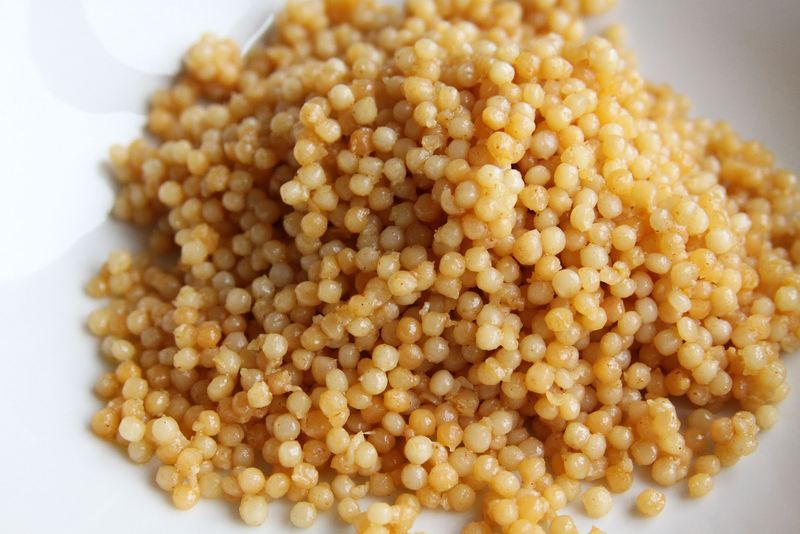 Couscous is a dish of Maghrebi of small steamed balls of crushed durum wheat semolina which is traditionally offered with stew spooned on top. In Sahel, sorghum and pearl millet as well as other cereals are prepared in similar way and the dishes resulted from it are called couscous. It has become a predominant food in North African cuisines of Morocco, Algeria, Mauritania, Tunisia, Egypt, Libya and Sicily. In western, it is served on its own as main dish or side dish. Traditionally, it was made from hard part of durum, a part of grain which resists the grinding of millstone. Semolina is sprinkled with water and then rolled to form small pellets with hands and sprinkled with dry flour to separate and sieved. The pellets are tiny to be finished granules through sieve, is again rolled and sprinkled with dry semolina and again rolled in pellets. It is a labor intensive process which continues till all semolina is formed into miniature granules of couscous. The traditional method of its preparation is that group of women make large batches over several days and then sundried and used for several months. The production of Couscous in modern times is largely mechanized and the product is sold around the word in markets. 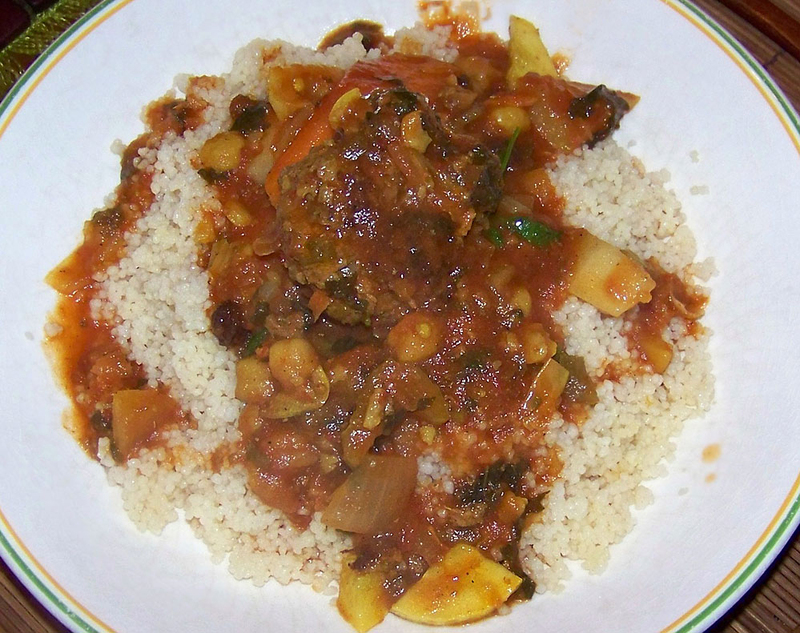 Couscous that has been cooked properly is not gummy or gritty but is light and fluffy. The method of cooking Couscous differs from traditional version to Israeli couscous or ptitim. In comparison to traditional couscous, pititim is large in size and is toasted having a nutty flavor. These two are not interchangeable so one should choose a right variety for recipe. Couscous is served as simple side dish resembling rice, pasta, potatoes. 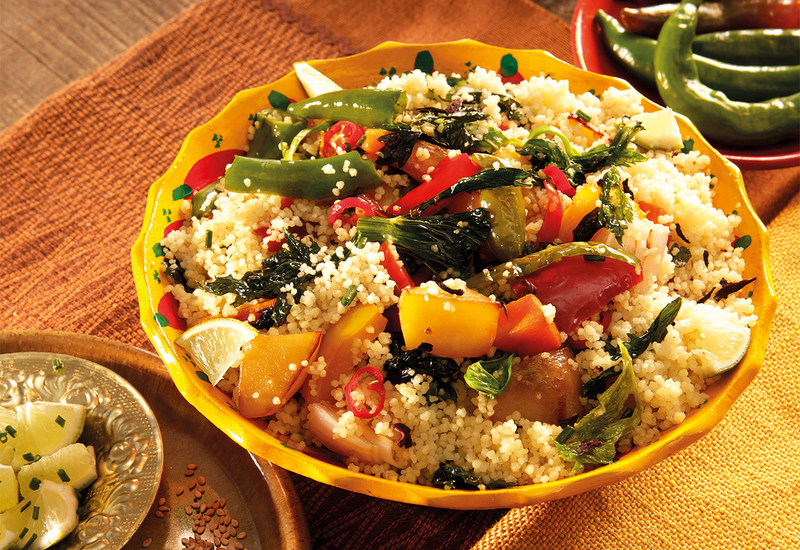 Couscous is believed to be originated in the region from Eastern to Northern Africa. Berbers used it in early 7th century. It is acknowledge as traditional North African delicacy and a common component for cuisines in Maghreb countries. Ibn Battuta stated in his Rihalah signifying what may be the earliest mention of Couscous from early 1350s in West Africa. 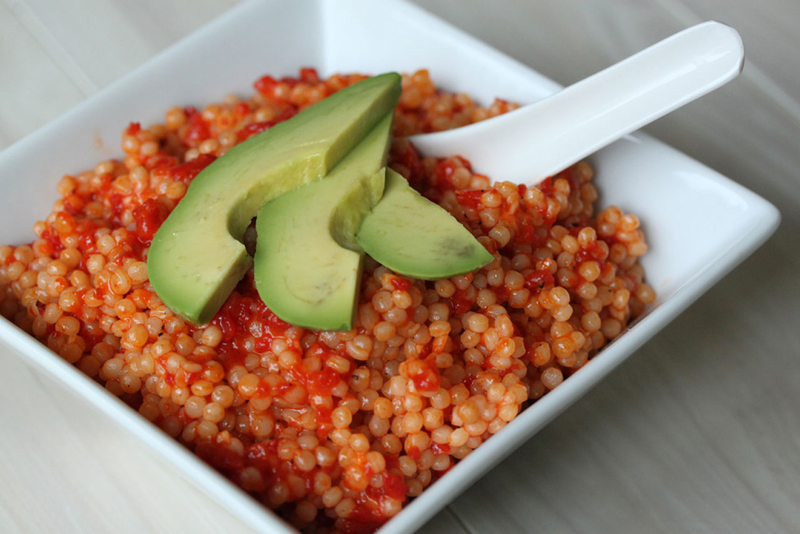 Couscous is considered to be a healthy alternative to pasta. It is made from small granules of semolina flour and goes through long preparation process and is traditional in North African cuisine. It is made from whole wheat flour that increases and promotes nutritional value. It is a great substitute for quinoa or rice and could be served in soups, salads, side dishes and even as main course. Besides its nutritional value, the preparation requires more than adding hot water and fluffing with fork. 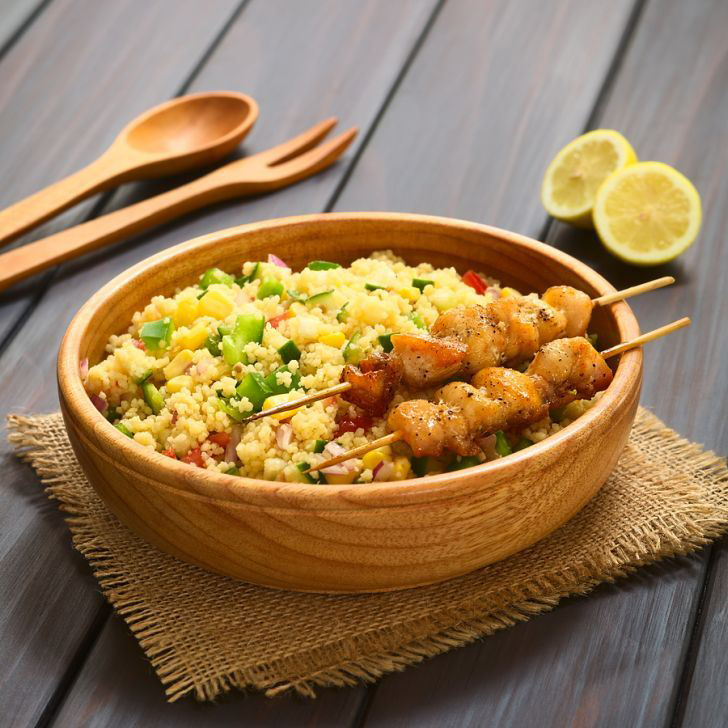 It takes on flavor of with whatever cook with and there are various ways to serve couscous. Selenium is the most important component of Couscous that is an integral part of various health benefits. Being a trace mineral, Selenium is challenging to find in food sources but is a vital mineral required for human body. The single serving of Couscous offers 60% of daily requirement of selenium which makes it a richest food source of selenium. Selenium acts as a powerful antioxidant which acts to lower plaque buildup as well as harmful cholesterol on vein walls and artery. Selenium prevents the harmful and life threatening conditions such as heart attacks, atherosclerosis and strokes. In addition, Couscous is an appropriate source of potassium that is another essential nutrient that could be easily found in other foods. Potassium is required for lowering contraction of blood vessels by lowering blood pressure and benefits patients that are at high chances of suffering cardiovascular diseases. It assist in normal beating of heart and also prevent heart arrhythmias and other harmful irregularities in constant cycle of heart. Selenium provides numerous health benefits which is a vital role in metabolic pathways that prevents cancers. Studies have shown the link of selenium deficiency in the body with increasing chances of prostate cancer. The adequate presence of selenium with provides anti-metastatic qualities and prevention against cancer. Selenium is also related to prevent lung cancer and carcinogenesis in smokers when it is combined with Vitamin C and Vitamin E.
Selenium has natural antioxidant qualities that counteract proliferation of free radicals as well as other toxins in bloodstream and the system of the body. Actually, selenium vitalizes regeneration of vitamin E and Vitamin C which has vital role in body’s defense mechanisms. 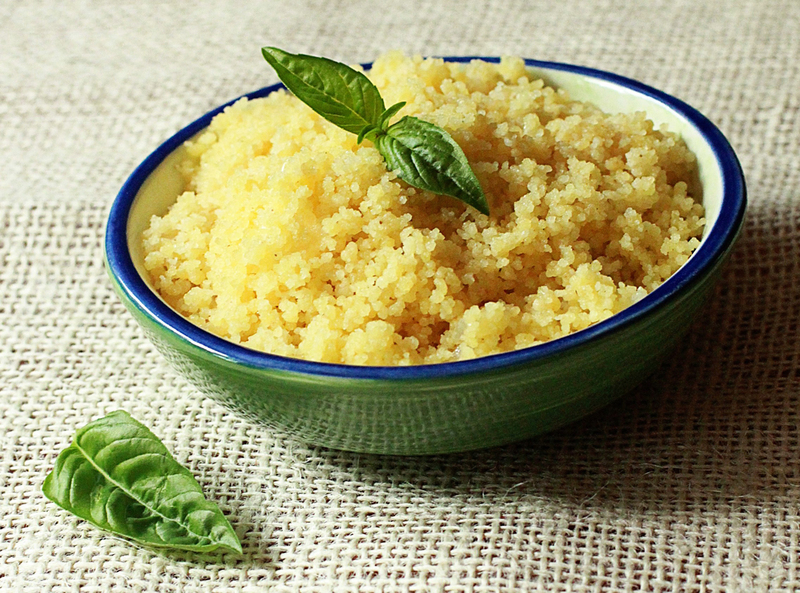 Couscous could be a powerful addition to body’s natural defenses. Selenium is vital for developing muscle mass which is an essential part of protein metabolism and also development of muscles. Study has shown that deficiency of selenium is a major cause for muscle degradation and weakness and also body weakness and abnormal fatigue. Selenium is problematic nutrients which has to be acquired naturally so couscous is the best source to improve muscle mass. It might be difficult to heal wounds and recovering from surgery and illness. 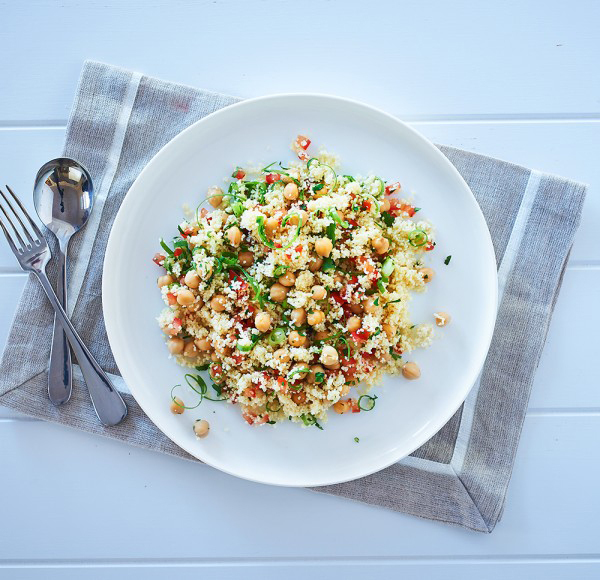 Couscous could be helpful during this time as it provides large amounts of protein. It is an integral part of healing wounds and in metabolism of enzymes that assist in repairing wounds both externally as well as internally. More than 15% of human body consists of protein so the food source which is rich in protein is good. Grains are low calorie source food which is filling and easy to cook. Grains such as quinoa or rice and couscous have less than 200 calories serving per cup i.e. 10% of daily intake of calorie that is suggested for adults. It makes Couscous beneficial for those who are trying to lose weight through dieting though the extra protein which is provided by Couscous makes it a powerful boost for developing muscles. It is low in cholesterol, sodium and saturated fat that work against the attempts to weight loss. Couscous has rich content of fiber that acts as deterrent to ghrelin secretion which is a hormone that generates the feeling of hunger. The decline in that hormone lowers the chances of overeating which is effective for those who are trying to lose weight. A cup of couscous offers 10% of suggested fiber intake for the day. Being a fiber rich food, it assists digestion of food and health of gastrointestinal system. Fiber adds bulk to bowel movements and encourages peristaltic movement, a smooth muscle contraction that moves food in digestive tract. It cleans or scrapes arteries that strip harmful LDL cholesterol and also eliminates it from the body. Dietary fiber stimulates uptake as well as retention of good cholesterol in the body. Fiber lowers the chances of constipation which prevents various harmful intestinal conditions such as colorectal and stomach cancer. Bodies are made about more than 90% water so it is essential to balance fluid in organs and body for its normal function. Couscous has good amount of potassium which is essential to regulate fluid and cellular pathways. The balance of fluid is essential for regulation of blood pressure in the body by lowering the chances of health conditions such as heart attacks, atherosclerosis and strokes. It also balances the uptake of nutrients and elimination of toxins by regulating excretory bodily activities. 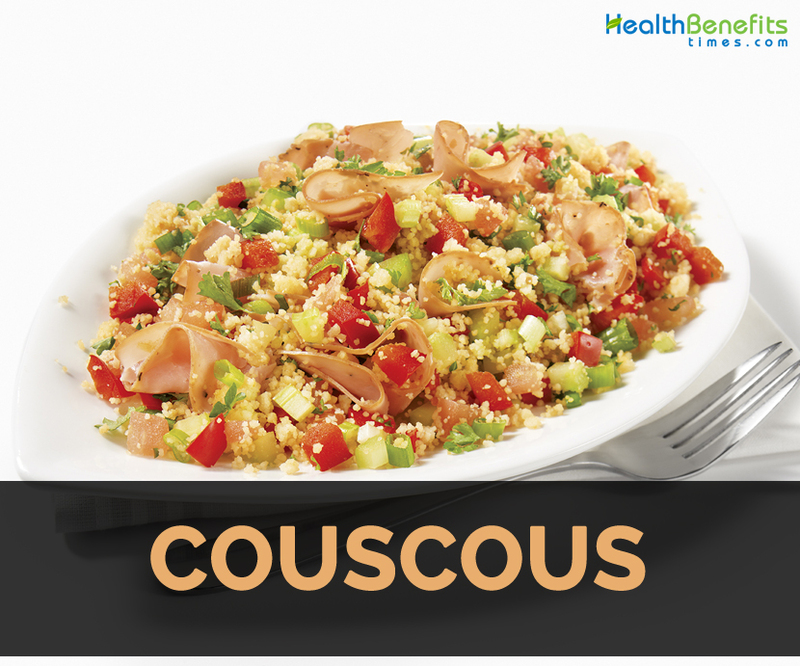 Couscous has high content of protein which makes it ideal to regulate the metabolism of the entire body. Protein is essential for various parts of the body such as skin, hair, teeth, nails, muscles, organs, enzymes and natural chemicals. The deficiency of protein causes inefficient functioning of bodily organs that leads to various health effects. 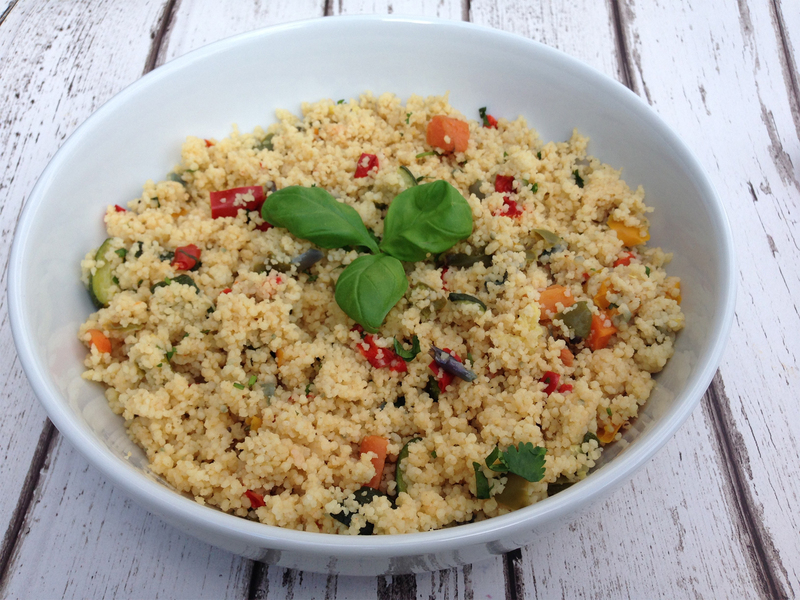 Couscous could eliminate the chances of protein deficiencies. It is a great source of protein for vegans and vegetarians as they lose the major sources of protein such as dairy products, meat and protein. Couscous is able to promote immune system as it possesses antiviral and antibacterial properties. It is a solid hindrance against cancer cells, herpes virus, shingles and cold sores. 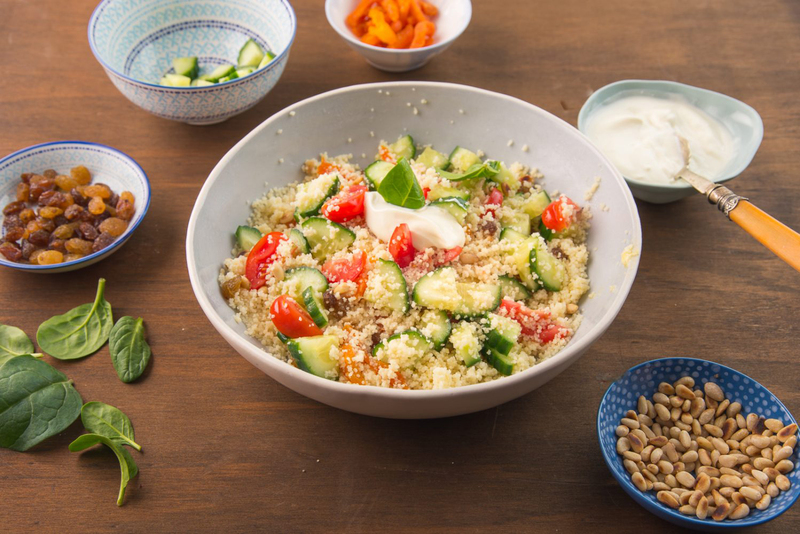 Add couscous to promote healthy eating and healthy living. 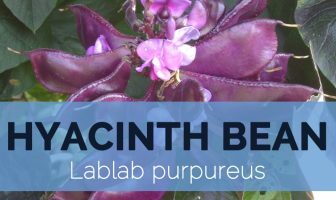 It is tasty and also easy to prepare as it offers numerous nutrients. Consult the doctor before adding it to the diet. 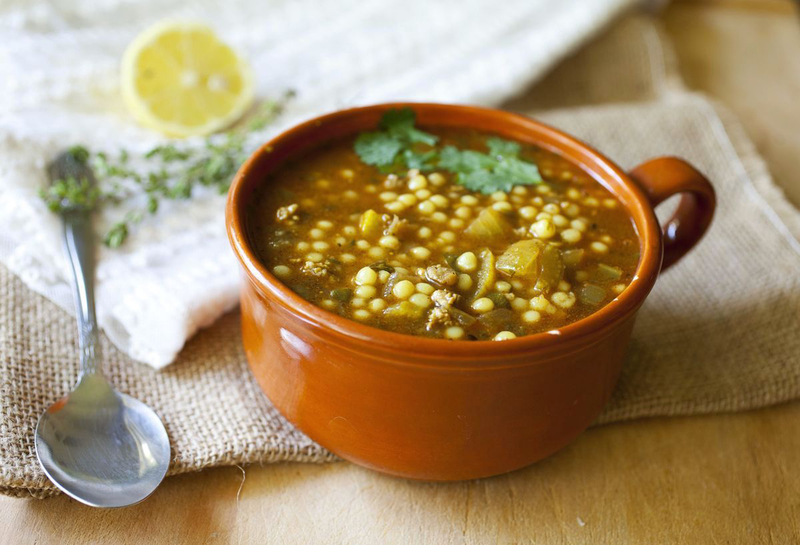 In Libya, Morocco, Algeria and Tunisia, Couscous is served with potatoes, carrots and turnips cooked in a spicy or mild stew or broth and some lamb, mutton or chicken. Steam couscous for several times till it is fluffy and has pale color. Then sprinkle it with cinnamon, almonds and sugar. Couscous is consumed as a dessert in Egypt. It is prepared with sugar, butter, nuts, raisins and cinnamon and is topped with cream. 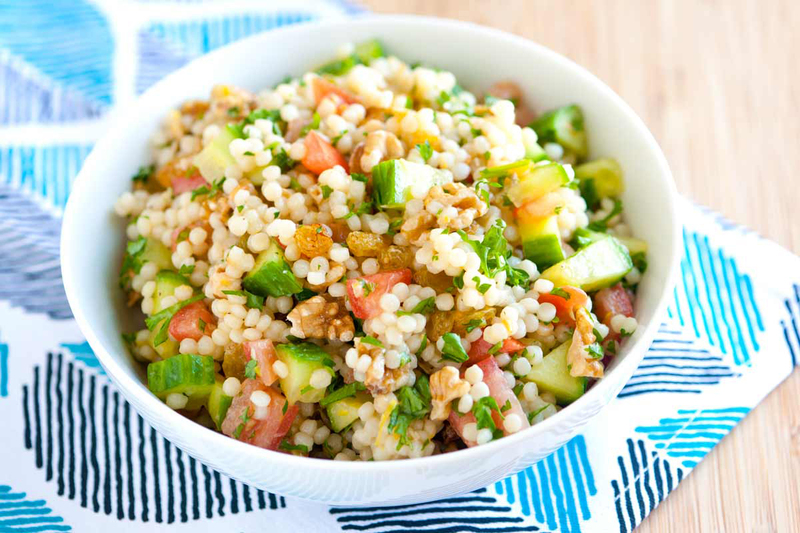 Maftoul in Palestine is a special type of couscous which is prepared from different shape and different ingredients. The traditional dish of Trapani, Sicily is Couscous with fish soup. Prepare Couscous like oatmeal and top it with dried fruits and black tea. 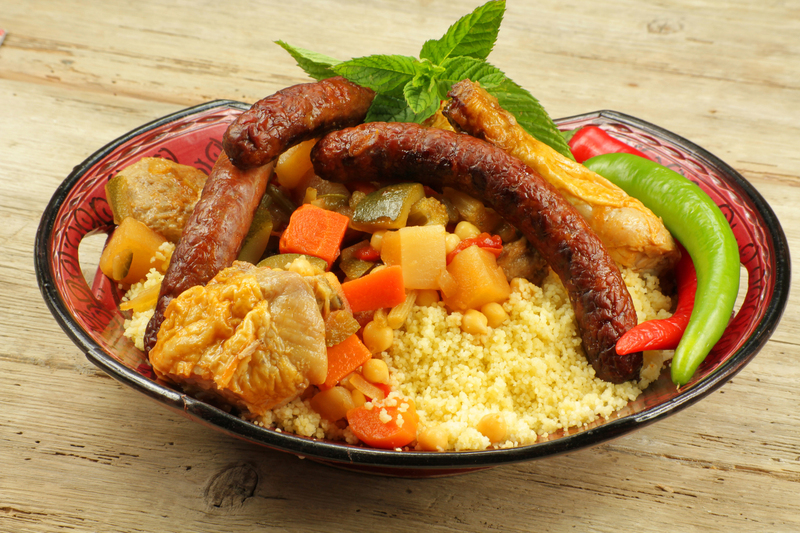 Couscous is a national dish of Morocco. In Morocco, Friday is regarded as the traditional day for consuming couscous with families sitting down to share a large meal following prayers at mosque. In North African tradition, it symbolizes blessing, luck and abundance. The three main types of couscous are: Israeli, Moroccan and Lebanese. Calories in 1 cup, cooked (157 g) 176 Kcal. Calories 176 Kcal. Calories from Fat 2.25 Kcal. Calories 650 Kcal. Calories from Fat 9.99 Kcal.